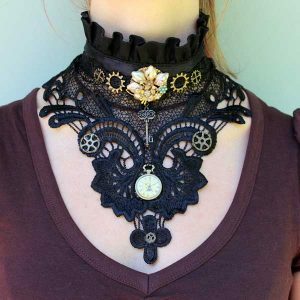 Steampunk cosplay, masks, accessories, fashion, art, and more. 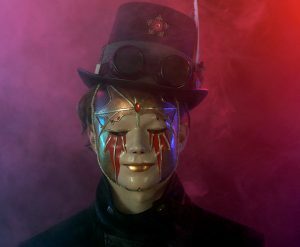 Stunning video of steampunk carnivale masks. 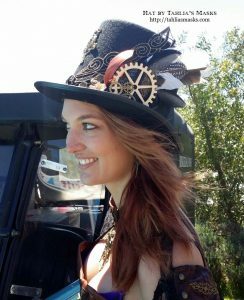 Here’s another of the short but stunning videos of my steampunk carnivale masks made for me by Velvet Wings Media. This one is on the 4 seasons mask set. Enjoy it. 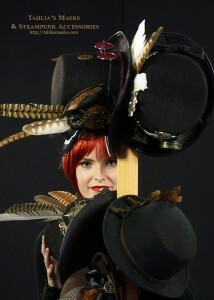 A bevy of beautiful steampunk hats in another gorgeous photo from the steampunk shoot last year. 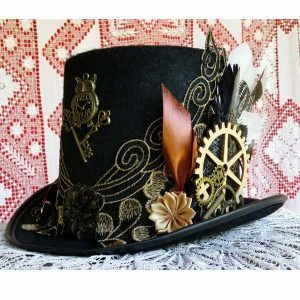 Click HERE to check out my hats. More coming soon. 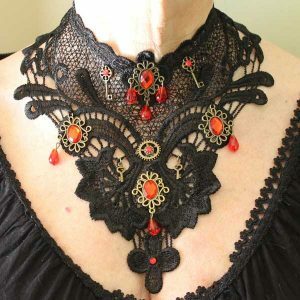 And if you don’t find what you want, contact me and I can make something to suit. 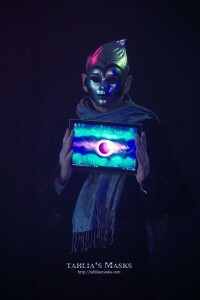 Science fiction masks in action. 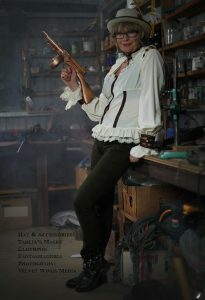 Use for cosplay costumes, theatre, music video clips, wearable art. 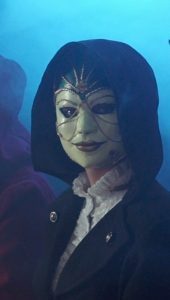 This short video shows my cosmic, science fiction style full faced masks in action. 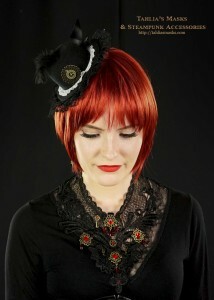 Click here to see what masks are presently available in this style. Full Faced-Masquerade Masks inspired by the Four Seasons. Enter your email address to receive notifications of sales & new products by email. Old girls Can Wear Cool Clothes too! Follow Tahlia Newland's board TahliasMasks on Pinterest.